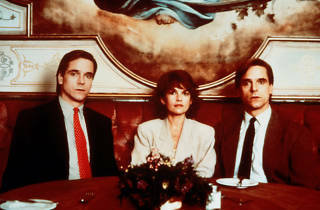 Cronenberg's emotionally devastating study of the perverse relationship between identical twin gynaecologists, Beverly and Elliot Mantle, is an intense psychological drama which confronts his familiar preoccupations - fear of physical and mental disintegration, mortality, the power struggle between the sexes - without the paradoxical protection of visceral disgust. Instead, the abstract, expressionist imagery synthesises the physical and the mental. 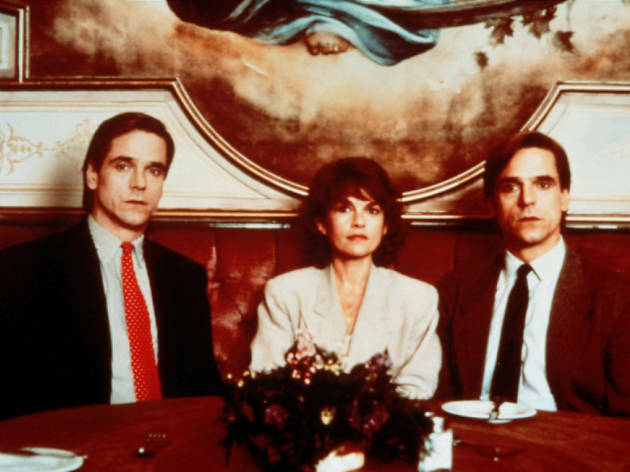 Courtesy of clever, unobtrusive trick camerawork, Irons gives a superlative performance as both twins. The delicate symbiotic balance between the brothers is suddenly upset by the eruption into their lives of hedonistic actress Claire (Bujold). As always, they share everything, including Claire, until Beverly realises that he has at last found something he does not want to share, and he is plunged into a whirlpool of emotional confusion; when Elliot tries to help, he too is sucked into the vortex of pain and despair. Likewise, Cronenberg pulls us deeper and deeper into his harrowing tale of separation and loss, the disturbing, cathartic power of which leaves one drained but exhilarated.